Aerial Acts - These are choreographed acrobatic dance pieces performed at height. There are many acts and costumes to chose from and if you have a specific theme please get in touch as i might already have something that will work perfectly and if not its always good to create new work! Wedding Silks Act - Spectacular heart-warming performance for that special day. 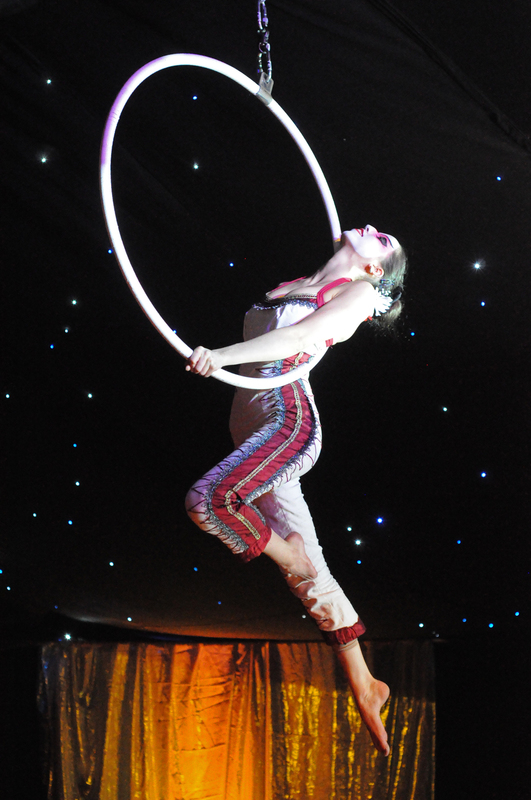 Bespoke Silks Acts Available catered to your event. Dance of Lunar Deity - A sensitively ethereal performance of elegance and flexible fluidity. Skin – Summer spin - Fun loving act full of sunshine. Stage Cat Strut - Sassy Slick moves mixed with playful Trix are performed with poise from this Feline Friend. Also hang-about / meet and greet options available. 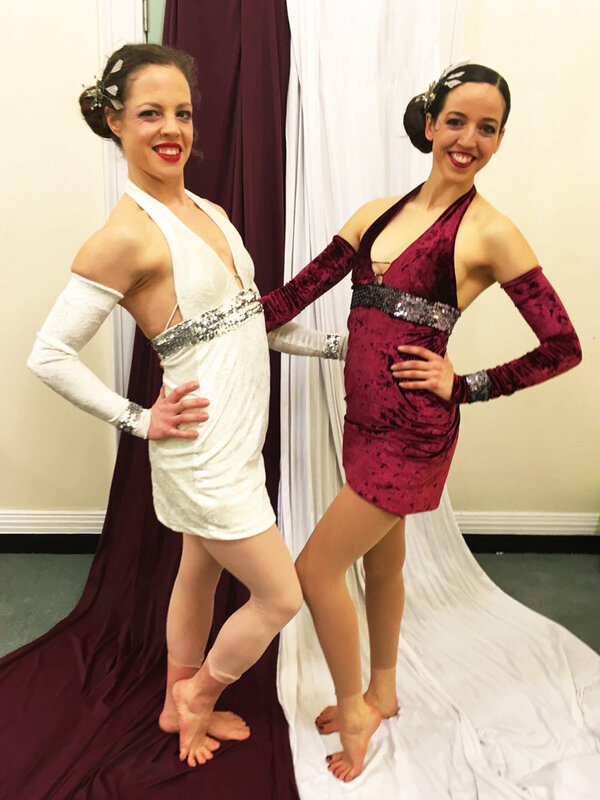 Triples Trapeze: Spectacular Sequinned Starlets Perform Diamonds are Forever. 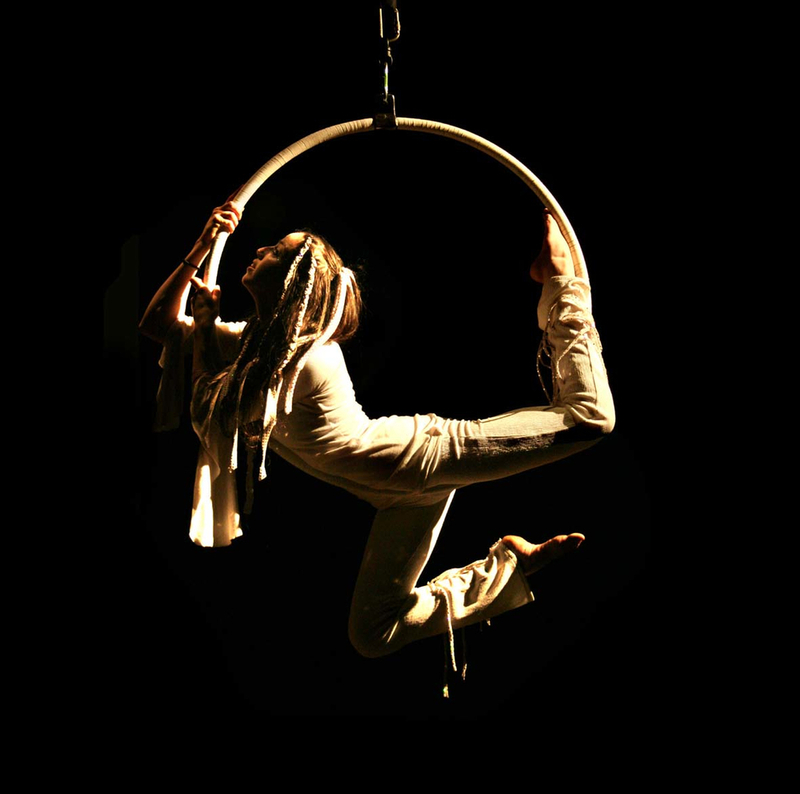 Doubles Straps: emotionally charged epic counterweighted Show of acrobatic feats and lifts. 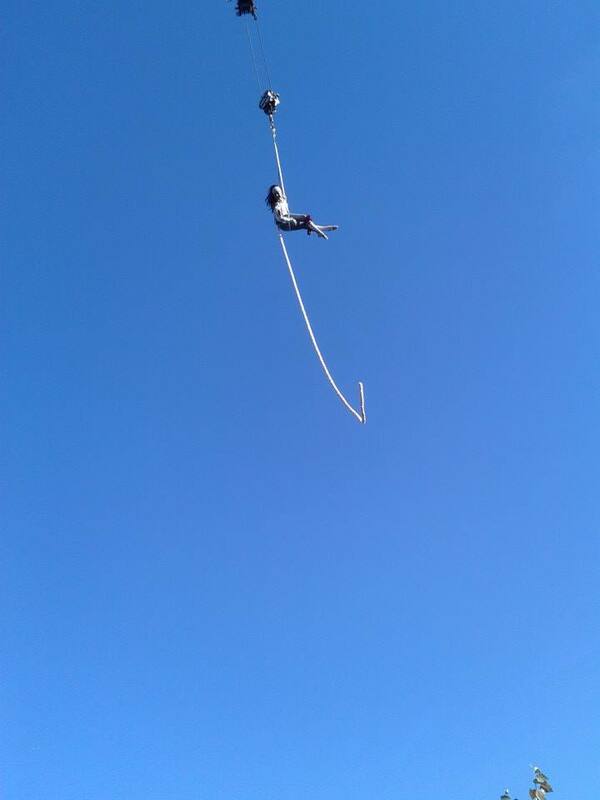 Spanish Web is a high impact impressive spining rope act. 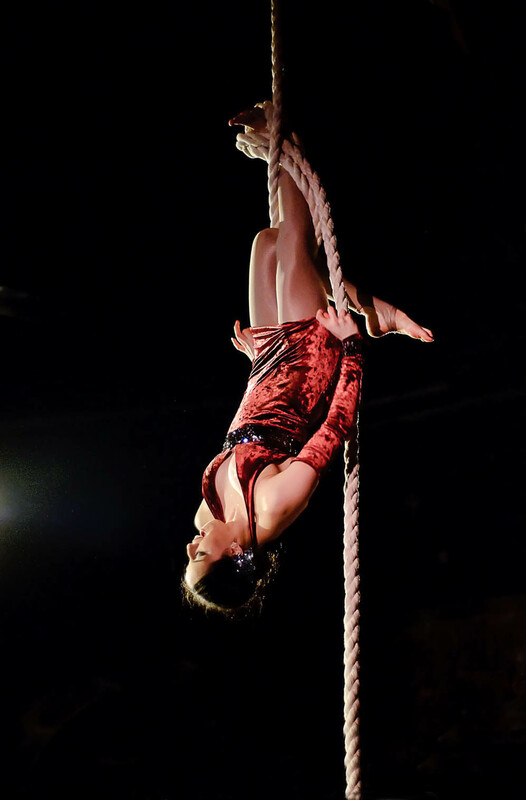 A loop is attached to the Rope for the performer to put their hand or foot into and a web sitter (on the ground) spin's the rope to spin the performer whylst they move through a choreographed sequence. Whether hanging from a crane, dancing down a building or as a stage duet piece, harness dance is a spectacular contemporary form of aerial performance that is both accessible to large audiences and works at festivals, big events and can even be performed as a stage show or part of an ensemble performance. Harness Dance usually requires very specific rigging so get in touch to find out if this will work with your ideas.